A rugged coastline stretching the length of the country; mountains crowned in snow; crystal-water fjords carving their way inland from the shore – it’s hardly surprising that being outdoors is an integral part of Norwegian identity. A fundamental element of Nordic culture, the call of the natural world isn’t something that’s consciously thought about; it’s just always there, beckoning people outside. The traditional Norwegian holiday does not feature luxury spas, high-rise five-star hotels or Michelin-adorned restaurants. As in most Scandinavian countries, Norwegian holiday culture celebrates simplicity, leaving the modern world behind rather than indulging in it. A wood-burning oven, water fetched from the well, even a long-drop toilet – these are the common ingredients of the traditional Norwegian getaway. The modern workplace demands instant communication and quick-fire responses. It can often feel like it moves faster than the speed of thought. Today more than ever, the rest of the world could perhaps learn a thing or two from the Norwegian working culture: a standard 37.5-hour week for many, with five weeks holiday a year. Since the Second World War, every Scandinavian country has strived to achieve a secure and fair standard of living, in a state where the majority of people earn more or less the same. There are a great many advantages to this. Firstly, it allows for a stronger sense of team spirit, because everybody feels entitled to the same living standards and working conditions. The ‘we’re all in the same boat’ mentality encourages a strong work ethic during office hours – not least so that many employees can go home at 4:30pm, depending on the nature of the job. Many employees put in extra hours during the week in order to be able leave early on Friday. 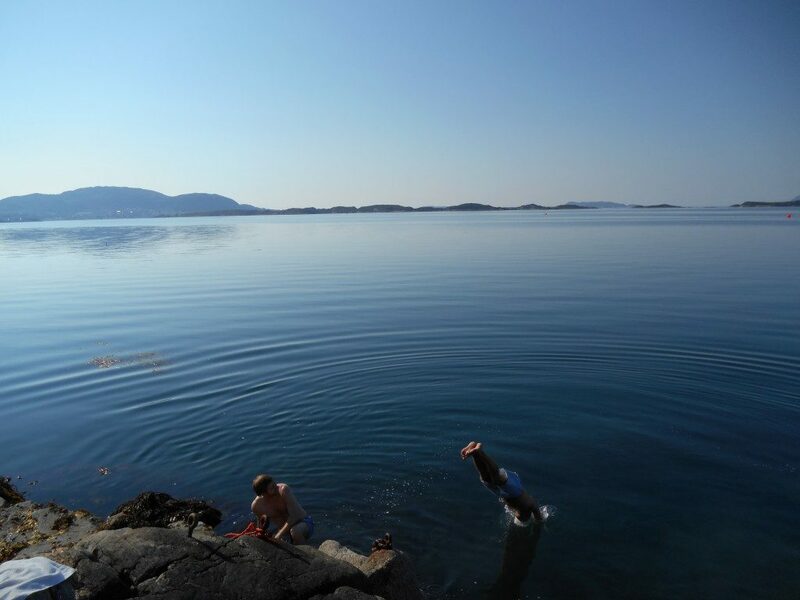 When the summer months bring their warmth and sunshine, many Norwegians seize the opportunity to head to a hytte (cabin) for a few days, usually somewhere in the mountains or beside the sea. After all, that’s what you’ve worked all those long and hard hours in a fast-paced environment for: the moment when you’ve arrived at the hytte, parked your car, unpacked your stuff, and are ready to just take in the view and let your pulse drop. There is an innate Norwegian desire to get back to nature (there’s a reason people say that Norwegians are born with skis on their feet). Living a simple outdoor life, free from the bustle and hum of the office, is a soul-enriching stress reliever. 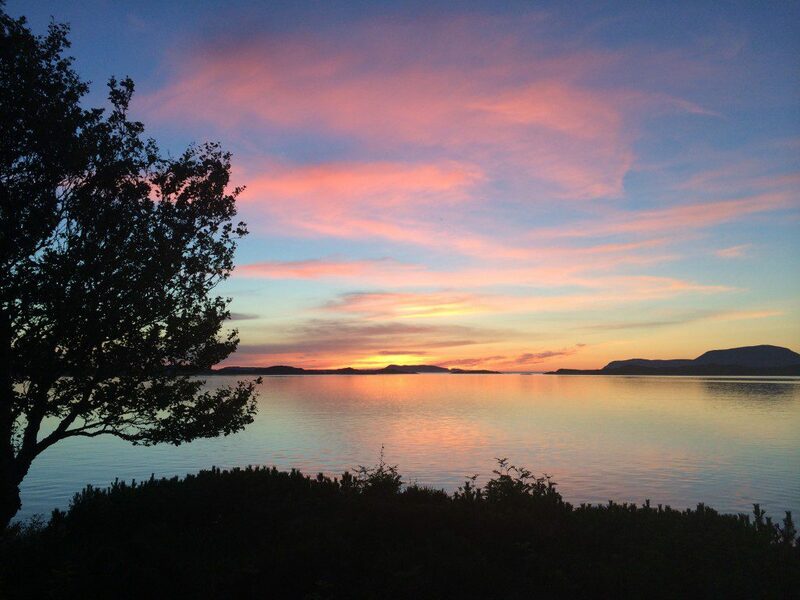 In summer, friends and families will spend time hiking, fishing, swimming, talking and sitting by the fire together, making the most of Norway’s wild and wonderful topography and long summer nights. Garde has also observed a growing trend in project-based professions for people to work long hours to finish a project and then, afterwards, because of the regulated working week, take time off to travel, go to the cabin or just stay at home. This is not a culture where being overworked is a badge of honour: it’s simply not allowed. One company he worked for had a rule that staff could only build up a maximum of 200 hours overtime within a year before they had to take it as holiday. Imagine that happening in London. Mindfulness may be the buzzword of 2015, but the Norwegians have been practising it for decades, if not centuries. With around 50,000 islands off the coast, there are endless off-the-beaten-track destinations where one can find solitude in nature. So throw on a Nordic-style ‘genser’ (jumper), pop a Kvikk Lunsj in your backpack and remember the Norwegian phrase ‘Ut på tur, aldri sur’ – literally: ‘out on a hike, never grumpy’. A treat is so much better once you’ve done something to deserve it. A small block of chocolate after climbing a steep hill; a cold beer after chopping enough firewood for the season; or a long weekend at the cabin after a week of working hard – it’s all about rewarding the effort you’ve made. Whether in the mountains or by the fjords, the point is to get away from it all. The inspiring beauty of your surroundings and the absence of constant urban buzz are sure to help you find your inner calm. There are enough appointments and engagements to deal with in everyday life. On holiday, you should do whatever you fancy, follow the weather and go with the flow. Make the most of those long, bright summer nights. Turn off your phone (or at least refrain from constantly checking emails). Focus on where you are right now, be present in the moment and recharge your internal batteries – not the iPad’s. Nothing tastes better than fish you’ve caught yourself, prepared with seasonal veg, a knob of good butter and a sprinkle of sea salt. Evening entertainment could be old-fashioned games with friends and family rather than watching TV while discussing it on Twitter: card games, Yahtzee and Ludo are all ideal hytte pastimes. Once you have succeeded in being present in nature, slowing down your pace and simplifying things, the reward is the quiet hum you bring with you to your everyday life – something which no crowded Mediterranean holiday can offer. Then, start the cycle all over again: put in the effort and work your way to the next chance you get to hit the hytte.